Ready now for what's next. OUR MISSION: What drives us? Making a difference in the safety and disaster readiness of your response and healthcare community by providing practical products, experienced training, and expert customer support. Since 1990, DQE has led the way with our practical approach to emergency preparedness. Our team of safety experts is one of the best in the industry, bringing their experience, passion, and knowledge in various fields of health & safety, emergency management & response, and product & educational services design. 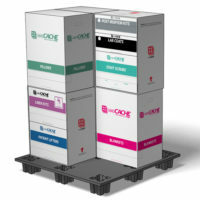 These innovative solutions, proudly made in the USA, highlight DQE’s capabilities. Stored on each unit, the toolbox contents help orchestrate the coordination of patient assessment, movement, and tracking for up to 25 patients on a particular floor/department. 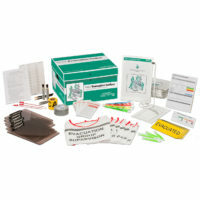 Extra opioid protection kits for a moderate exposure response where hazardous opioid substances may be present. Decontamination readiness is an essential capability for ensuring the safety of hospital staff during any hazardous materials incident. 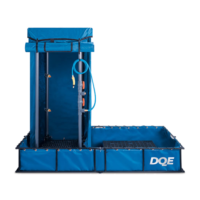 DQE has onsite and eLearning options available for decontamination training. The industry's leading stand-alone decontamination shower that offers quick set-up, victim privacy, thorough decontamination and easy clean up. DQE helps your hospital build a complete Evacuation Preparedness Program that includes comprehensive evacuation training and evacuation planning, supported by an Evacuation Plan Assessment, and DQE-On-Demand eLearning. DQE helps hospitals implement HICS in a cost-effective and efficient manner. Our HICS program consists of various offerings ranging from initial to advanced training, executive leadership instruction, and eLearning. Supplies to care for 25 patients for 96 hours. Supports Joint Commission recommendations. 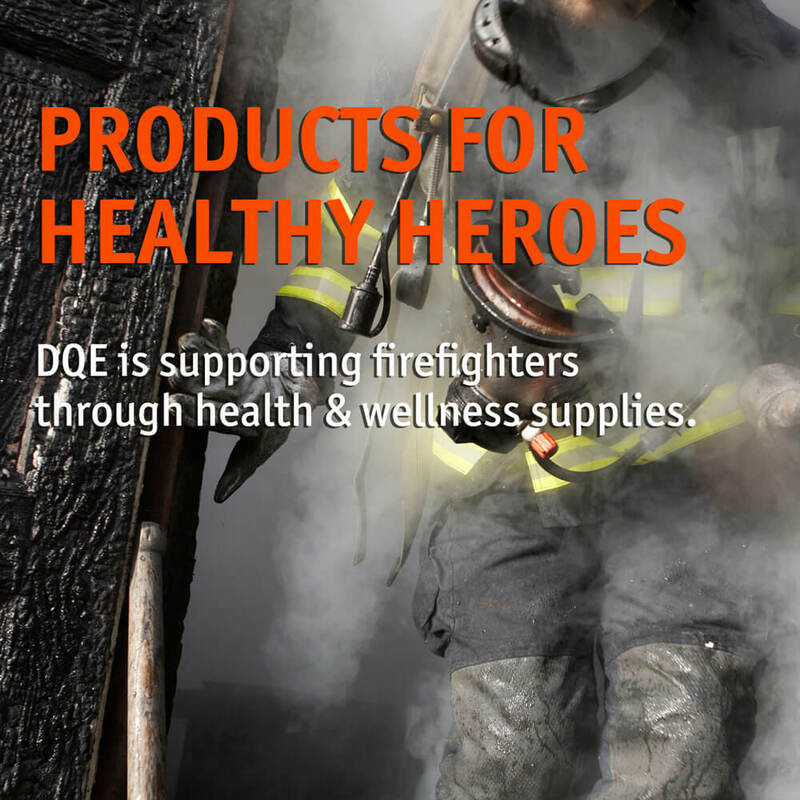 DQE’s Firefighter Health & Wellness line of products is based on the latest research related to firefighter cancer prevention. Research demonstrates that chronic exposure to heat, smoke, and toxic flame retardants through inhalation, ingestion, and skin absorption place firefighters at increased risk of cancer. DQE’s Firefighter Health & Wellness line contains products that reflect the best practices for reducing exposure to cancer-causing carcinogens through Zone Establishment, Gross Carcinogen Decontamination (PPE and Skin), and Post-Decontamination. Kinnos Inc.’s flagship technology, Highlight®, is now being stocked by DQE for first response and emergency preparedness. Highlight®, a powder additive for bleach solutions, colorizes and increases the wettability of the disinfectant to ensure full coverage, and then fades in color to transparent to indicate when the contact time has been met and decontamination is complete. 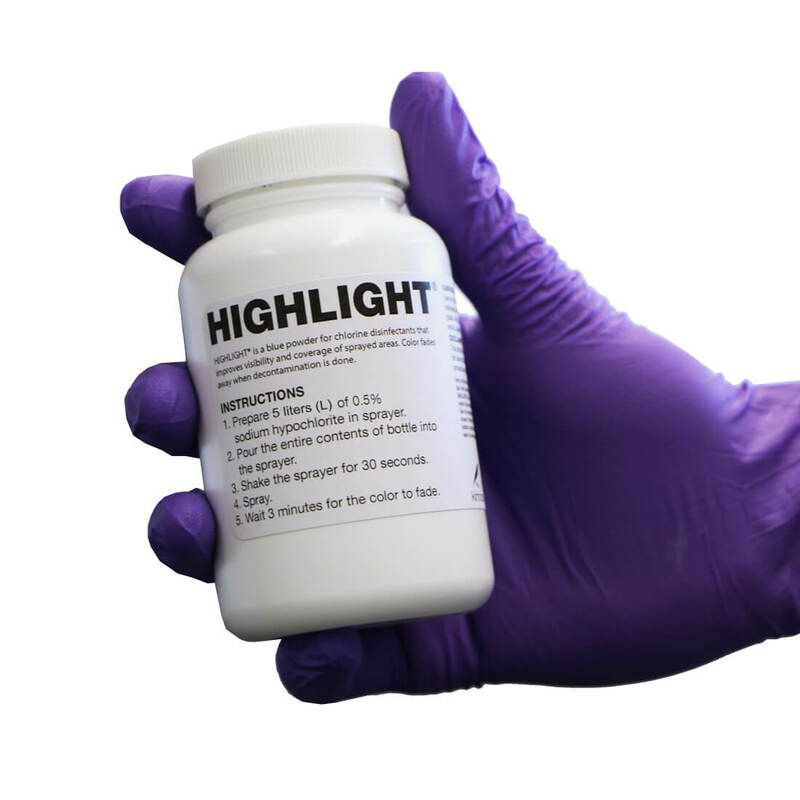 Highlight® has previously been used in Liberia and Guinea for the Ebola outbreak in West Africa and is currently used by first responders, biosafety and healthcare professionals, and non-government organizations for training and routine decontamination. 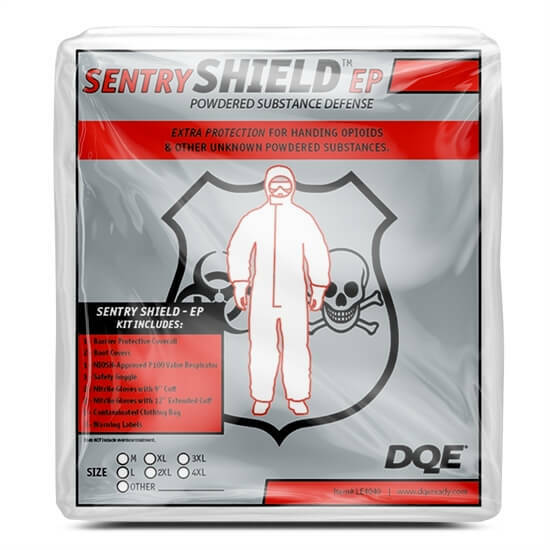 DQE developed the Sentry Shield line of personal protective kits to protect police officers and first responders from white powdery substances that could contain fentanyl, carfentanil, or other powerful opioid-based substances. 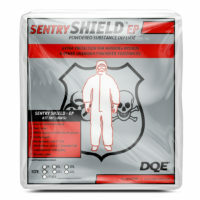 The Sentry Shield kits are configured based on the recommendations of the National Institutes of Occupational Safety & Health (NIOSH) and the US Drug Enforcement Administration (DEA). These personal protection kits range in coverage based on the severity of exposure levels responders may encounter. Hospital Emergency Preparedness programs in Evacuation, Hospital Incident Command, and Decontamination. Shop our collection of healthcare and public safety products. Our team of safety experts are dedicated to creating practical approaches to emergency preparedness and response.